Track Office Furniture is different. At Track, we empower clients by offering choices, you can purchase brand new or pre-owned furniture. By offering pre-owned our clients can choose to align their business practices with corporate social responsibility policies. We have a team of highly qualified professionals to execute on the job, as well as a leadership team comprised of experienced executives who help you to make strategic decisions. We have 80 years of experience in the furniture industry and we partner with industry experts to make sure your furniture needs are met seamlessly. We offer choices: you can pick up your product, or have our staff deliver and install. Using our fleet of trucks, we have the equipment and expertise to deliver and install your purchases professionally. We offer full cycle service, so if you are changing or moving, our decommissioning service can disassemble, remove, and ethically dispose, any quantity of existing furniture. 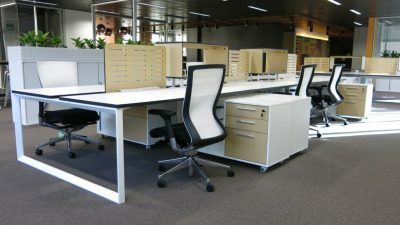 Track Office Furniture represents both high-end and economy manufacturers. Our high-end products are beautifully designed, using the finest wood veneers, fabrics and leathers. Our economy lines are affordable and come with a manufacturer’s warranty for peace of mind. At Track Office Furniture, we are committed to sustainability. With this in mind, we make every attempt to repurpose our clients’ existing furniture. We work with a network of over 400 Pre-Owned suppliers across North America. No matter what you need, we can find it. Track has developed protocols unique to our industry. We provide best in class service along with the flexibility to meet a broad spectrum of need, across industries and projects. After a thorough assessment of the quality and condition of your existing office furniture, we determine whether it should be recycled, reused or donated and to what extent. Click here to learn more about our Decomissioning services! 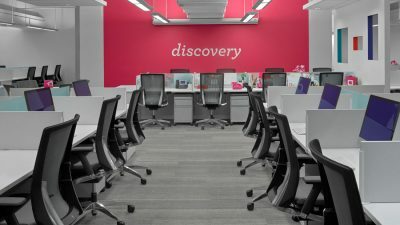 Our experienced office movers and furniture installation team offers a highly customized service for your corporate move.We move your complete office and contents – from computers and furniture, to sensitive electronics and artwork. 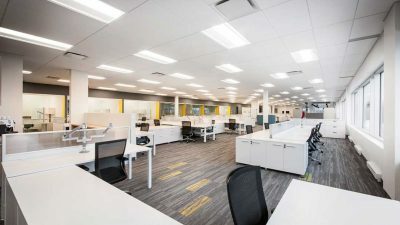 Track’s space planning experts have installed thousands of work stations and office layouts. 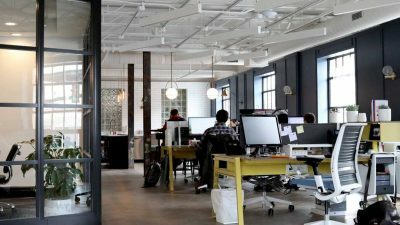 From the decision-making process to the final installation, we work with you to create an office spacethat is specifically suited to theneeds of your business. Everyone on the Track team is highly professional and expert in their field; I have found them to be reliable and they always go above and beyond! They are the best of the best with regards to creativity, ethics and loyalty. We use the Track Furniture team every time we open a business centre or update our existing facilities. Their knowledge of the products they sell, as well as their design layout and expertise is unsurpassed. Track Furniture brings the "Value Added" which can't be easily found. We will continue to use Track's expertise into the future. I have been working with the Track team for years, and when it was time to set up my own offices, I called them for advice on office setup and furniture. They were professional, offered me many options for both style and budget. Everything came in on time and on time. It was a great experience! Share your question or comment by filling out the form below. You can also email: info@trackfurn.com Thank you for taking the time to contact us.